Soils are susceptible to the forces of nature, causing them to contract, expand, and ultimately fail. Without proper support, the concrete sinks, creating not only an aesthetically unappealing environment, but also a hazardous and unstable structure. Concrete contractors to the rescue! 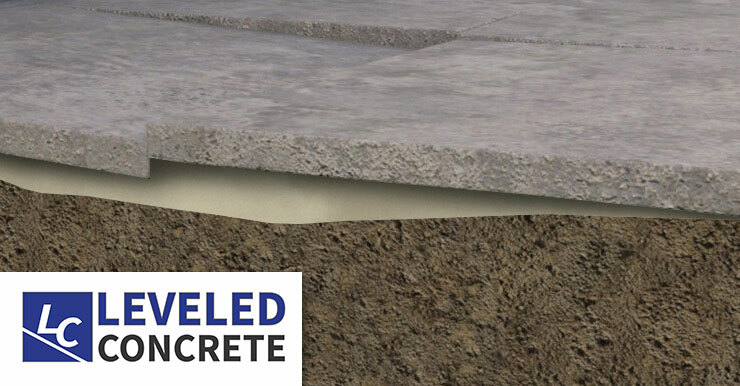 Each failure is unique and requires careful planning to design and implement a concrete repair that will withstand the test of time. 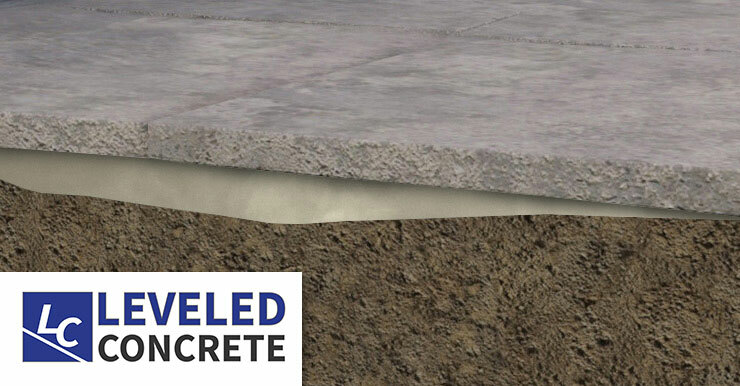 We use an advanced process to inject an expandable polymer under the concrete to raise it, and at the same time, stabilize the soil to prevent recurring failure. The process repairs and eliminates the failing condition within minutes and the concrete is ready to return to service immediately. Drainage and other issues affecting adjacent structures are remedied. The life of the concrete is extended for many more years. Polyurethane cures as a solid, impermeable structure which adheres to the concrete and is not susceptible to fracture or failure. Polyurethane is injected as a liquid and reacts within the loosely, uncompacted soils to solidify and stabilize those soils. 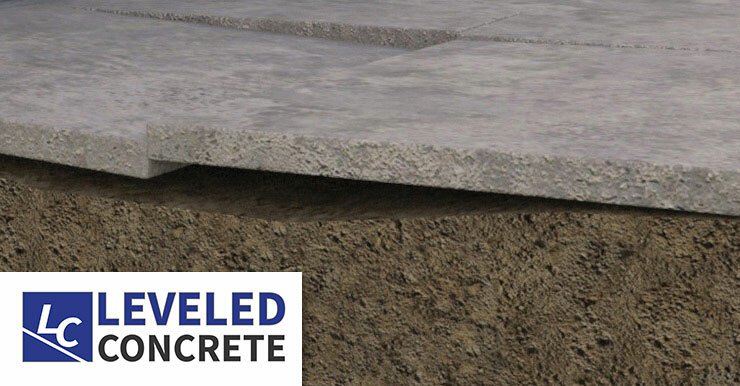 Leveled Concrete uses controlled injections in penny-size holes, to raise your concrete quickly and effectively. Mudjacking requires much larger holes – up to 2 inches. Polyurethane weighs about 2 pounds per cubic ft. Mudjacking material weighs over 100 pounds per cubic foot, which adds a tremendous amount of weight to an already burdened substructure. Polyurethane cures within minutes with your concrete ready to use again when we leave the job! Mudjacking can take days. Our safe, recycled, green solution creates a barrier to moisture, chemicals, insects, rodents, additional ground movement, and erosion.